CINCINNATI, Ohio – It has been almost five years since Deer Park Schools and the Project Management Institute Southwest Ohio Chapter began building a curriculum for Project Management 101 and 201 under the program architect Doug Arthur of Transform Consulting. 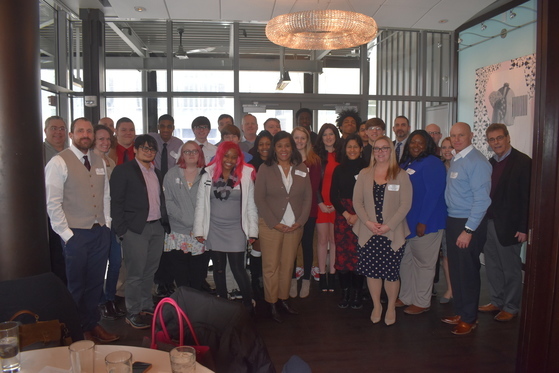 On Wednesday, the program took another giant leap forward, as project managers from Fifth Third Bank and Procter and Gamble joined the students for a kickoff luncheon on Fountain Square at Via Vite to open up the semester. For the first time this semester, 10 project management professionals will team up as VIP coaches for the students, connecting over the course of the semester in order to help with the completion of a project, which will come to fruition by the end of the year. Projects include the Deer Park Walk-a-Thon, Veteran care packages and a redesign of the Deer Park baseball dugouts. 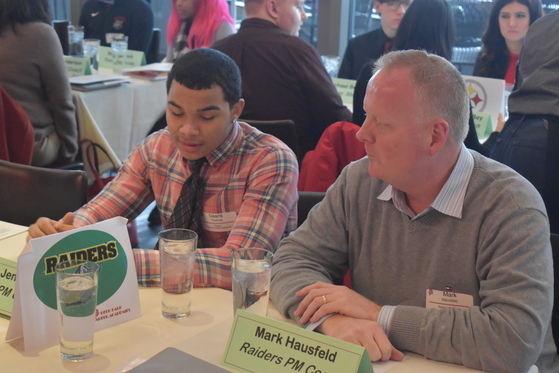 The students work in teams of three or four, and are paired with a VIP Project Manager from Fifth Third and P&G. 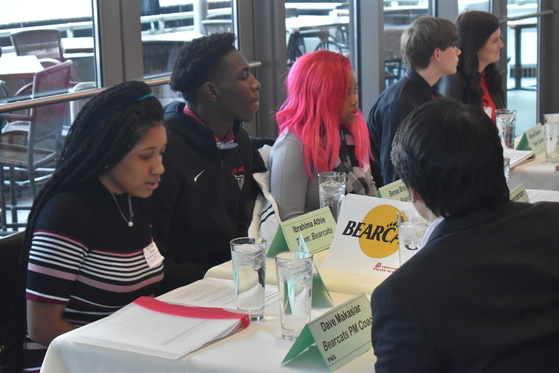 The students also heard from Via Vite Owner and Head Chef Christian Pietoso and PMI Southwest Ohio Chapter President, Andy Burns. Inspiring & Empowering Lifelong Success!